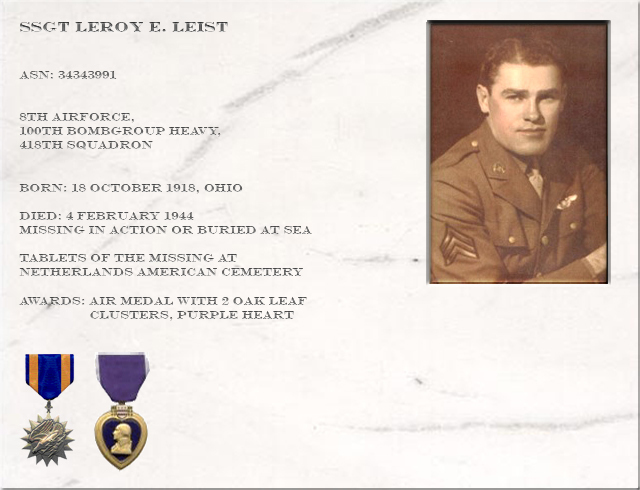 Leroy Earnest Leist was born on October 18, 1918 in Delphos, Ohio. His parents were Earnest and Eva McGath Leist. His mother died when he was 8 years old. His father Earnest raised Leroy and his two years younger brother Vernon as a single parent. Later his father re-married and had two daughters. Leroy became a member of the "Ohio Army National Guard" the "Buckeye Division", this division was mobilized in 1940 and stationed at Camp Shelby, Mississippi. Here he met a girl, Avis Taylor, to whom he was married in March 1941. When his enlistment with the Buckeye division was fulfilled he was drafted right away and he chose for the Army Airforce. 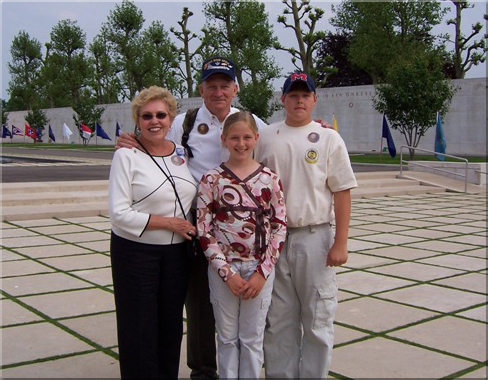 Due to his weight and size he became a tailgunner of a B17 "Flying Fortress". Leroy was 26 years old and considered an old-timer. 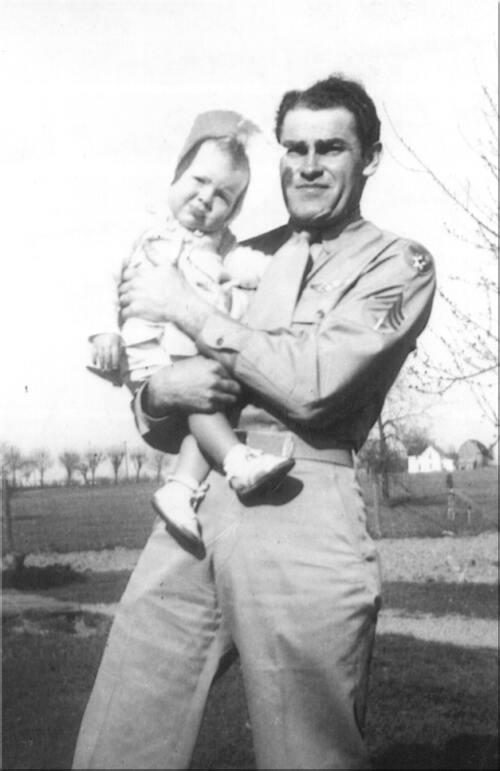 After his training in Texas, Nebraska and New Jersey he was shipped to the "Thorpe Abbots" base in England in October 1943, where he was assigned to the 100th Bomb Group, 418th Squadron, Leaving his wife Avis and daughter Adrian behind in the US. In the 418th Squadron he was part of the crew of 1st Lt William E. Green, in a B17-G "Flying Fortress", serialnumber 42-37975. The 100th bomb group "Bloody Hundredth" was founded on June 1, 1942 at the Orlando Army Airbase in Florida. In December 1942 the group counted 39 crews of 10 men each. After training in the US the crews flew to England. Their base Thorpe Abbots was about 20 miles south of Norwich and was under command of the 8th airforce. The group now excisted of 4 squadrons the 349, 350, 351 and 418 squadron. The100th bomb group flew it's first combat mission on June 25, 1943 and it's last on April 20, 1945. In these 22 months they flew 306 missions including 6 food-drops over the Netherlands in May 1945. In total they flew 8630 sorties and dropped 19752 tons of bombs and 435 tons of food. The average lifetime of a crew was 11 missions. Between 1943 and 1945 the 100th bomb group lost 229 aircraft, the losses mostly came in large numbers. For example; from a mission to Munster, Germany only 1 of 13 planes returned on Thorpe Abbots. The group participated in the European airwar, Normandy, Northern France, Rhineland, Ardennes and Central Europe campaigns. 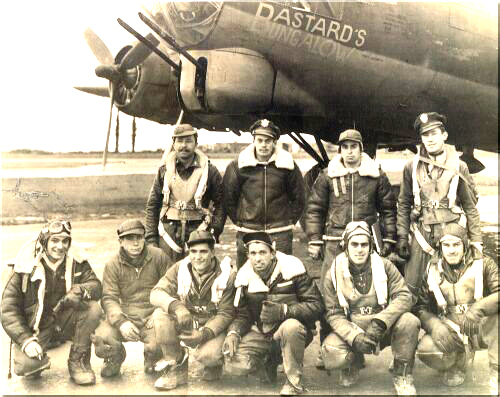 In December 1945 the 100th bomb group returned to the US where it was de-activated on December 21. Picture Leroy Leist's crew at Thorpe Abbots : Standing: Jack Jensen, Jack Hamilton, John Joyce, Bill Green. Kneeling: Sanford Tisdale, Richard Anderegg, Roman Beran, Tom Sasser, Harry Waskewicz, and Leroy Leist. picture courtesy of 100th BG assocation. 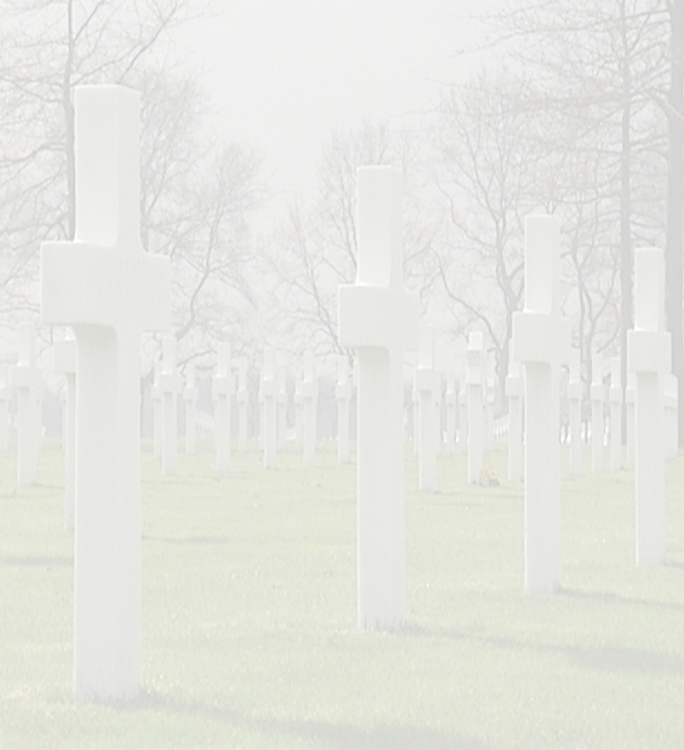 The bodies of SSGT Waskewicz, SSGT Anderegg and 2nd Lt Hamilton were found on February 6th at Ouddorp and were buried there on February 7th 1944. The body of 2nd Lt Joyce was found on April 18th at Ellemeet and he was buried on the Haamstede cemetery in the vicinity of Ellemeet. The others are all Missing In Action. The B17 of Lt. Green and his crew has been located. At this moment families are anxiously awaiting the governments decision whether to salvage the plane and the six remaining airmen. Adrian Caldwell, daughter of Leroy Leist: My greatest posession is an old brown scrapbook my mother kept containing pictures, letters from the families of the other crew members and the most dreaded paper a family could receive, the telegram that begins, "We regret to inform you....."
I swell with pride that my father was one of the thousands of brave young men who answered the call to serve their country in the name of freedom. May their sacrifices never be forgotten.